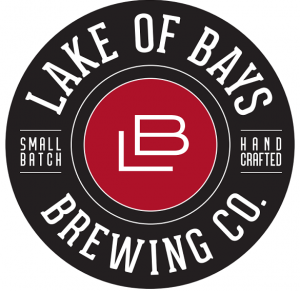 » Lake of Bays Brewing Co. 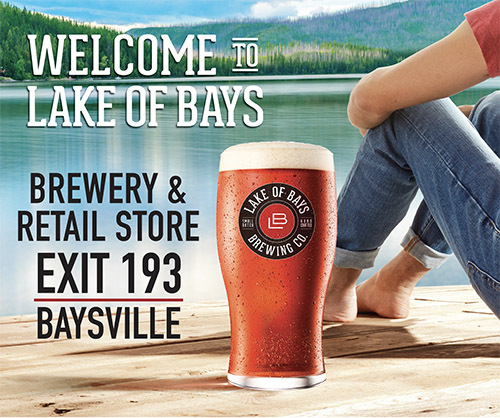 Coordinated and multifaceted, our award-winning marketing for Lake of Bays Brewing gave their brand new impetus in a crowded craft-brewing marketplace. 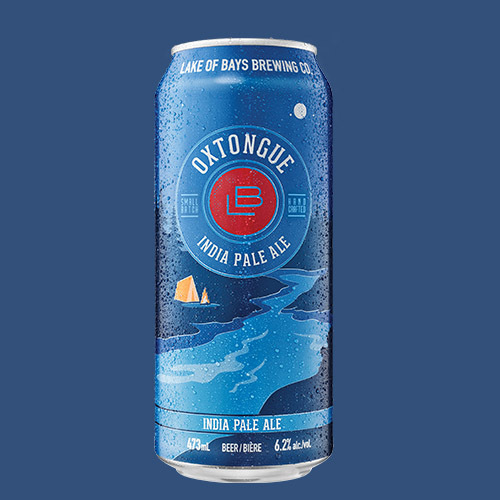 Within a year, dollar volume sales sped ahead by more than 70% (CASSIES Award 2014). 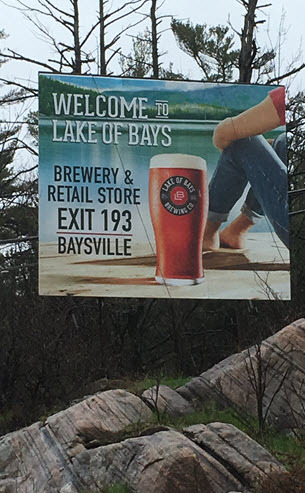 Broadening the appeal of a brand connected with the iconic landmarks of the Baysville area was the motive behind a repositioning strategy. 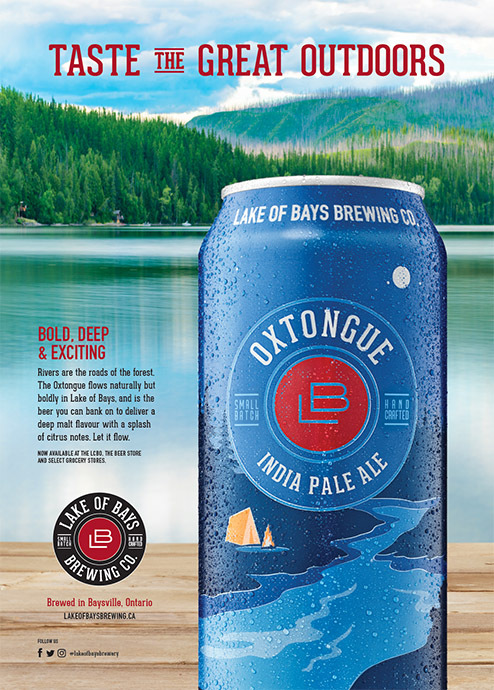 Based on market and consumer research, we coined a new tag for Lake of Bays: “Taste the Great Outdoors.” A Lake of Bays Spark House or Oxtongue beer can be enjoyed far beyond cottage country. 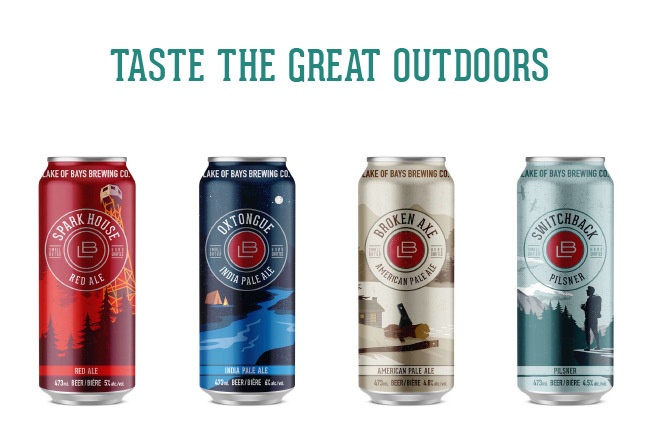 It conjures up the great outdoors wherever you may be, whether in your urban backyard or on the pub down the street. 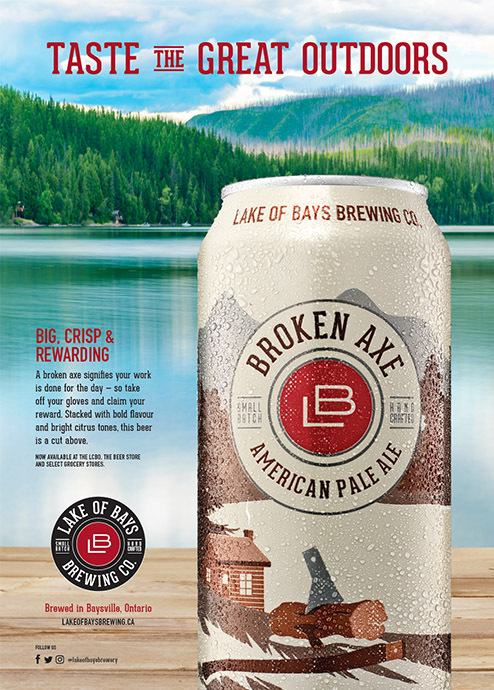 We elevated Lake of Bays’ digital presence with a combination of high-quality product shots for social media, an online ad campaign reflecting the new positioning, and online photo contests to increase customer engagement and attract new customers who are already craft beer drinkers. 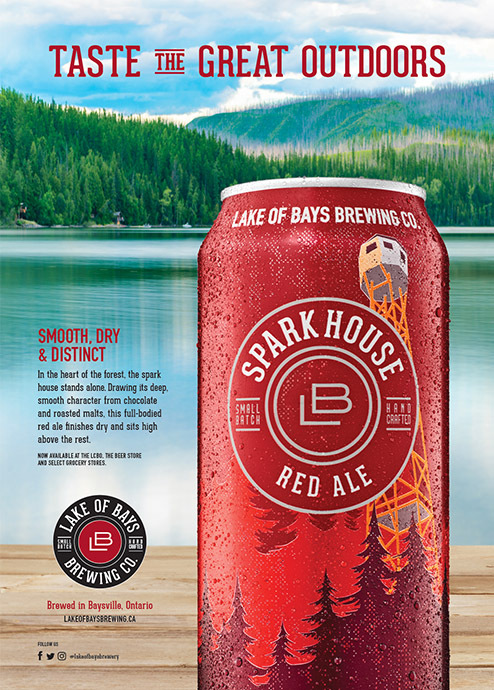 Despite enjoying existing brand equity established by its popular “Spark House” red ale, Lake of Bays began facing headwinds as customer tastes moved towards bolder and more experimental flavours. 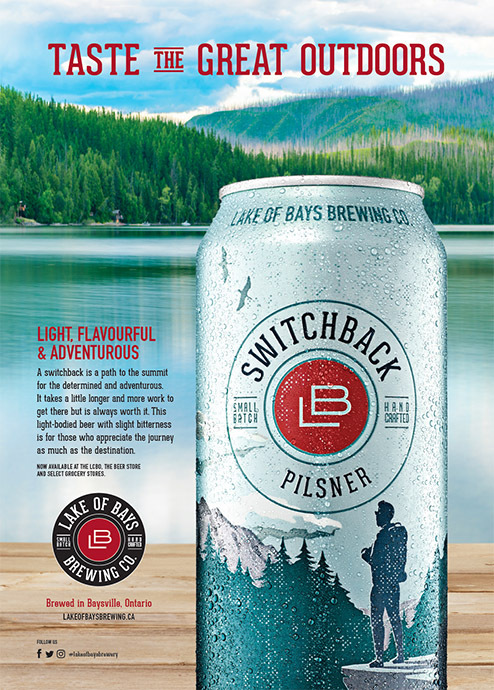 We worked with our client to rethink three of their four core brands. 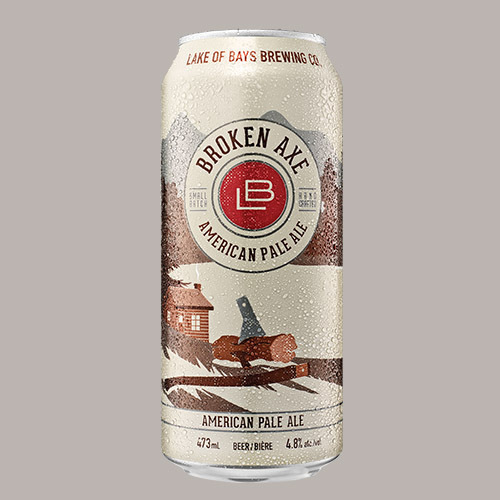 Together we developed new names, new package designs and a new liquid in all four cans. 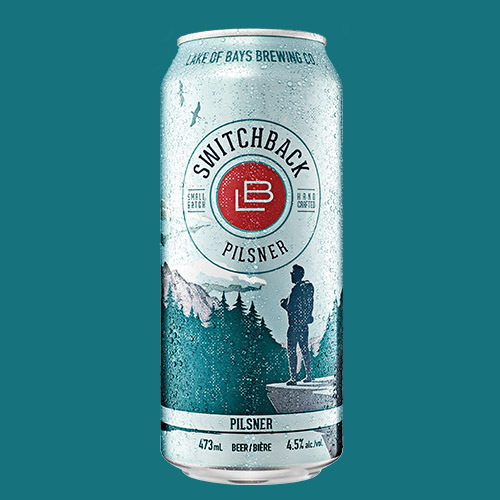 In addition to a bolder taste in their core brands, Lake of Bays is venturing into the cider category as part of their Seasonal 2018 line-up. 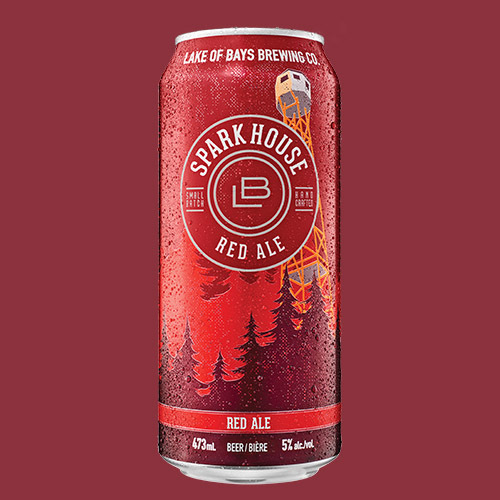 Red Sky at Night, a sessional cider with a hint of cranberry, brings together local ingredients against the backdrop of a fiery Baysville sunset to provide a refreshing and easy-drinking alternative to beer.